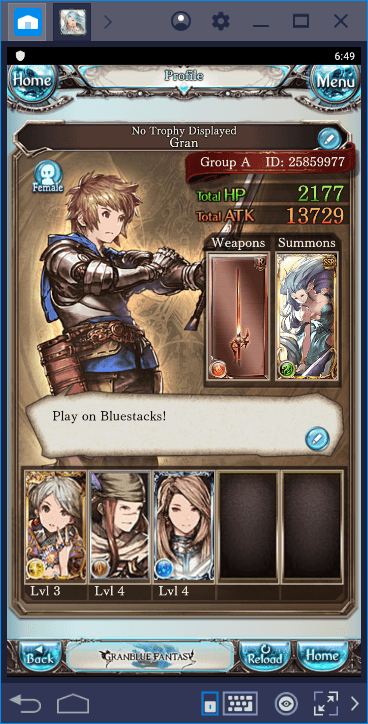 Granblue Fantasy is not a new game: It was released in 2014 and has nearly 23 million players worldwide. However, it is still a “new” game in Western countries as the majority of these players are from Japan. 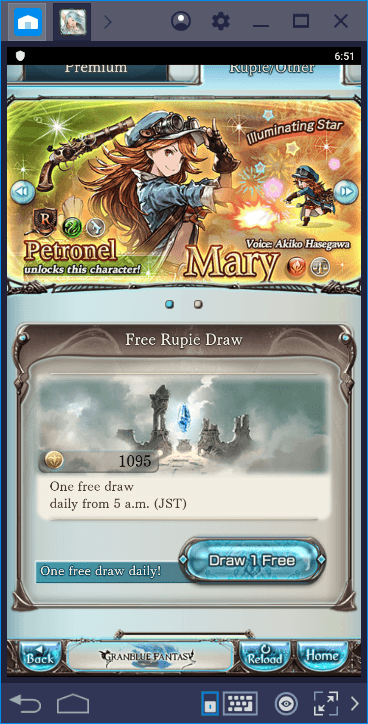 So, you will be playing this game probably for the first time and it is perfectly normal if you are having trouble – Granblue Fantasy uses a lot of systems that may seem quite complex at first glance. As always, we are here to help you: Below, you can find lots of tips and tricks that will help you during the game. 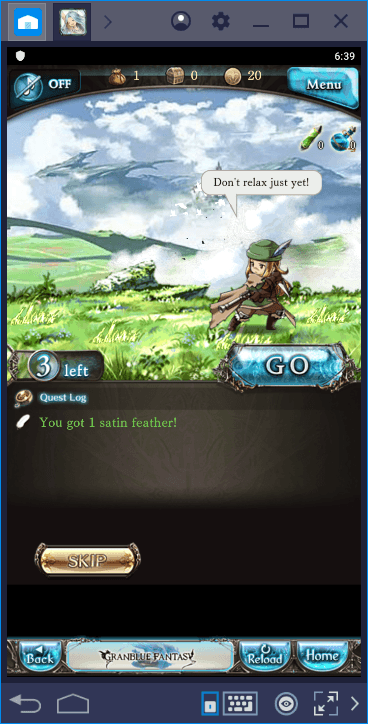 As you probably learned by now, all battles in Granblue Fantasy start the same way: Before fighting with enemies, you must complete a side-scrolling “adventure” that takes about 20-25 seconds each time. There is nothing exciting about this part of the gameplay: Your character automatically moves on the map and attacks enemy waves in order. We are talking about this screen which becomes boring after the first time. Well, you don’t need to complete this part at all – you can safely skip it. You will still get the rewards even after skipping, so there is no need to complete it every time. Just press that “skip” button and you are done. Free rewards! 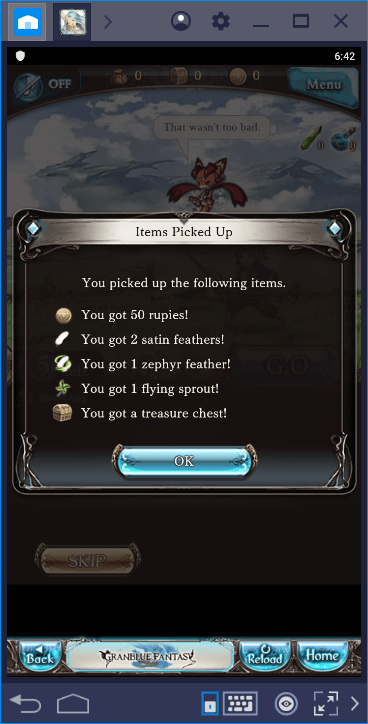 Granblue Fantasy awards you even if you are a lazy hero. 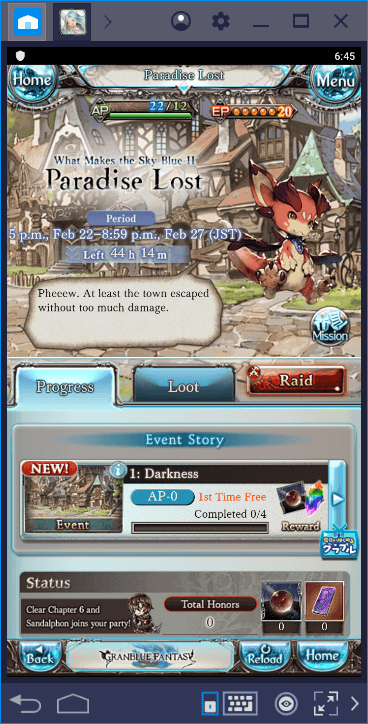 Unlike many other gacha games, events are not “locked” in Granblue Fantasy: You can participate in them right from the beginning, there is no level limit. Following the main story is good but that story is always available while events are time-limited. So, we recommend joining them whenever possible – doing so will award crystals and cores, which will be quite useful especially during the end-game phase. In other words, you can start collecting the items that will carry your characters to the end-game right from the start. Plus, events are tied to the main story, so you will have a better understanding of what’s going on in this world. The event screen – we can join immediately. The rewards – store these crystals for later use, they are quite important and rare. 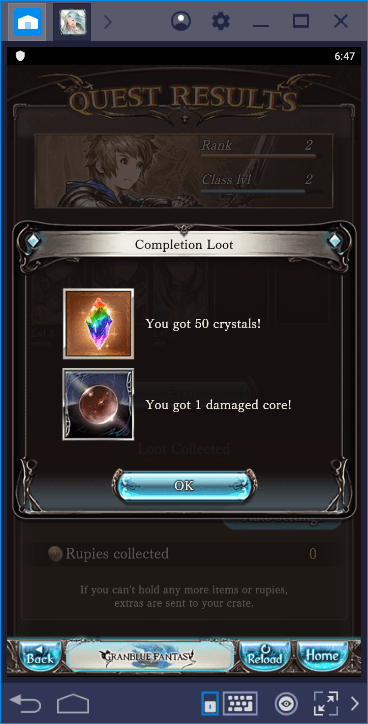 As we mentioned in our Granblue Fantasy review, you will be using crystals to make “premium” summons. One way to get them is by participating in events, as explained above, but they are not the only currency that can be used to make a summoning. You can use “rubies” for this process too: Since they can be obtained through quests and other in-game activities, you will collect lots of them in a short while. Each day, you can make a free summon with 1,0000 rubies and you will always have enough balance to complete this summon. Don’t forget to use this option every 24 hours. 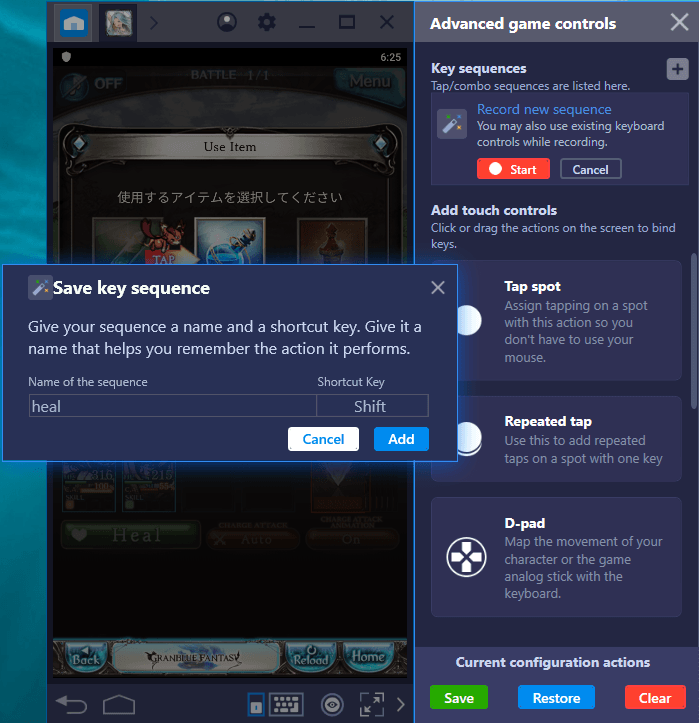 Repeat the same action in the future as many times as you want by pressing a single key. The start of the recording – we can also add potion use to this chain and make it more effective. You can add as many actions as you want into the recording. We assigned a key: In the future, we can repeat this attack combo by pressing this key and completely automate battles. 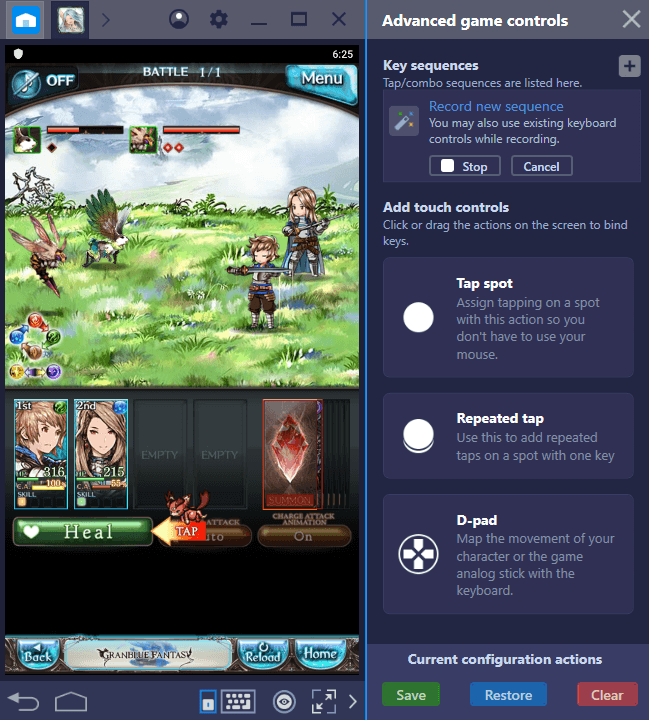 If you also read our review, we now believe that you are ready to start your Granblue Fantasy adventure: Use these tips and tricks to get a head start. If you liked the gameplay, don’t forget to take a look at all other gacha games that run on BlueStacks seamlessly, we have quite a lot!